Rainbow hair design is a new trend followed by global fashion icons and celebrities alike. What’s unique about this hairstyle is that you can opt for colors that match your skin tone. Whether on short or long hair, there are several ways you can rock rainbow hair designs and still end up looking amazing. 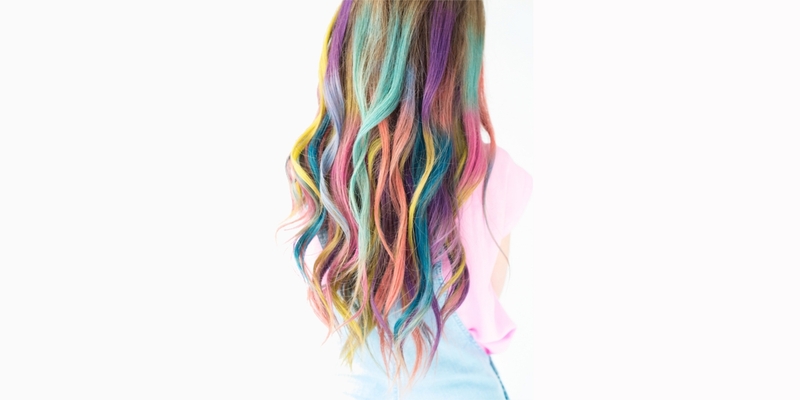 Read on to get the trendy rainbow hair design that will make you stand out from the crowd. 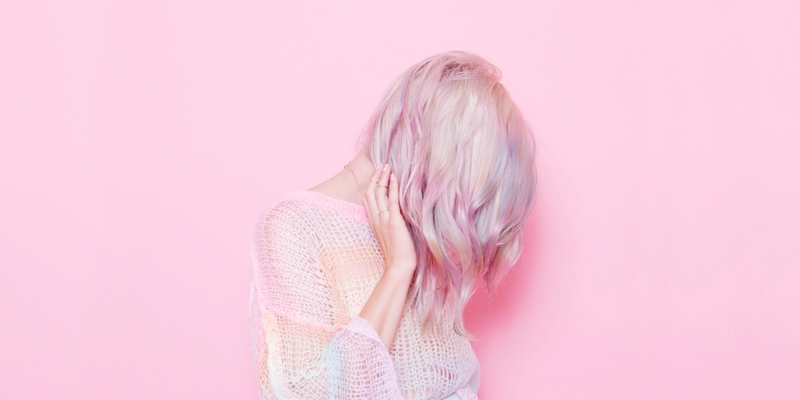 When it comes to magical hairstyle, a mermaid rainbow hair ranks amongst the top. It’s also the best hair color for anyone looking to make a dramatic change to their hair. 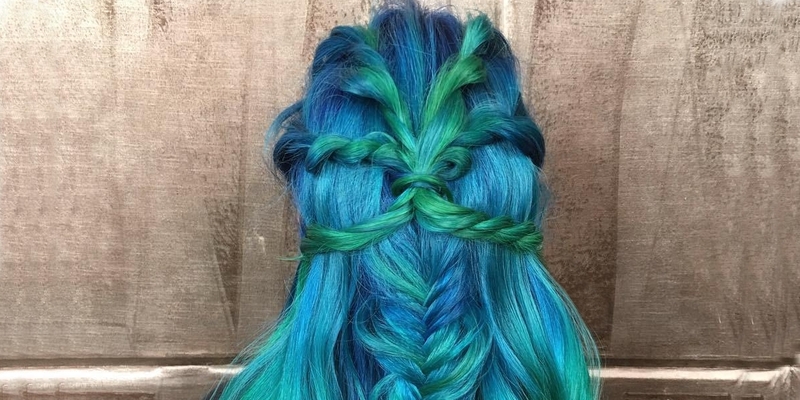 Opt to use more colors to achieve the mermaid look. With Ombre hair, you don’t have to worry about the upkeep because this hair is low maintenance. While it may require dye, the end results where you get to look gorgeous is worth the time. A hidden rainbow is the hottest hairstyle of 2016. What’s unique about this hair idea is that you can even wear it to work, and not even your boss will scold you for it – simply because you can camouflage the rainbow design in between your hair! The mystery and creativity in this hair make it ideal for women of all ages. You’re totally wrong if you think the mohawk is dead and gone! 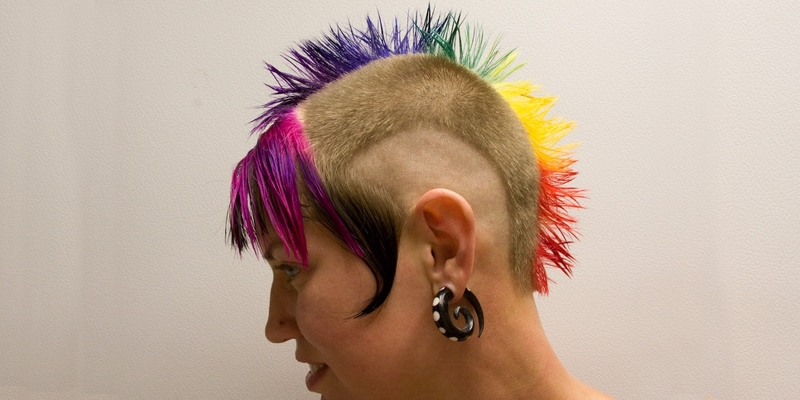 With various ways to reinvent this hair style, the rainbow mohawk is one of them. This hairstyle is so easy to create that all you need is at least three different hair dye colors. 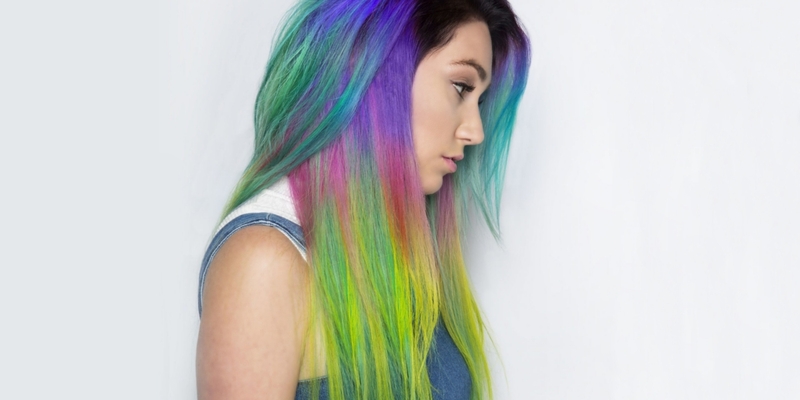 Suitable for both long and medium length hair, neon rainbow hair works on all hair texture. However, these bright colors also work best on dark hair. Neon colors on hair are suitable for all ages and when done by a professional it can help older women look youthful. 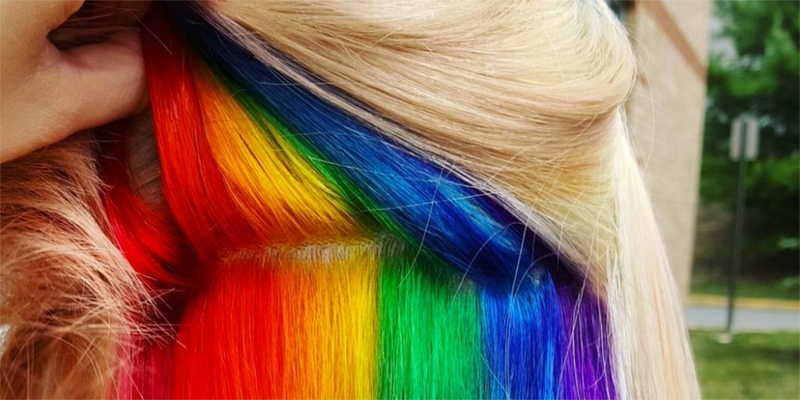 Adding rainbow color to your hair ends is the simplest way to freshen your hair. This style is suitable for those individuals who prefer a more subtle color on their hair. Make sure you separate your hair to ensure each section gets an adequate amount of the specific hair color you’re applying. If you’ve ever thought of decorating your hair using different hues that produce a translucent effect, then watercolor hair is for you. The unique brushstrokes and intricate design of layering the colors result in a beautiful muted pastel color. You don’t need to color your whole head to make a statement. You can still add a few stripes to your hair to make your hairstyle stand out. The key to making this hair design unique is to opt for a stripe color that totally contrasts with your hair. Red, green and orange are some of the colors to consider. Just like the opal stone which inspired this look, this hair incorporates metallic, rainbow and silver colors from root to the ends. Whether you leave your hair open or tie it into a bun, you can choose the intensity of color to suit your skin tone. 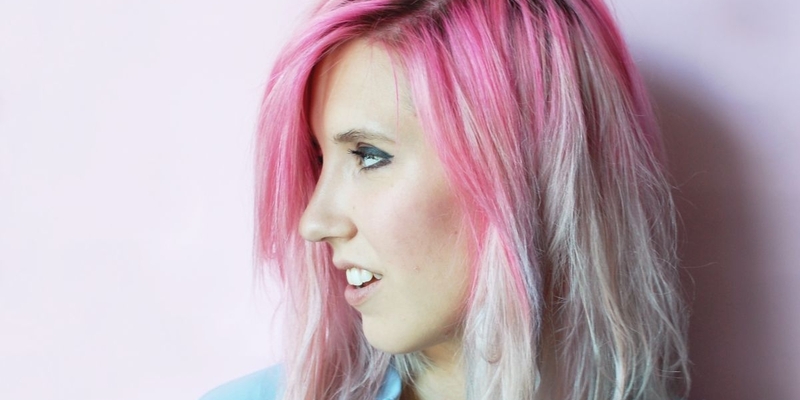 Rainbow hair design can help women make a bold as well as a subtle statement. For a bold or dramatic effect opt for bright colors such as yellow, red and orange while for a subtle look opt for the hidden rainbow hair design or color the inner layers with a vibrant stripe design.